In the 60s if you were up for a night of hedonism and perhaps a little scandal, then you’d have headed to The Pinstripe Club, but now Disrepute stands in its place. The team behind it are the guys from Sovereign Loss and the Barrio family so embracing London’s current cocktail culture is going to be the order of the day. Housed in a basement and hidden between Carnaby Street and Beak Street, it’s all wood-panelled walls and vaulted ceilings. 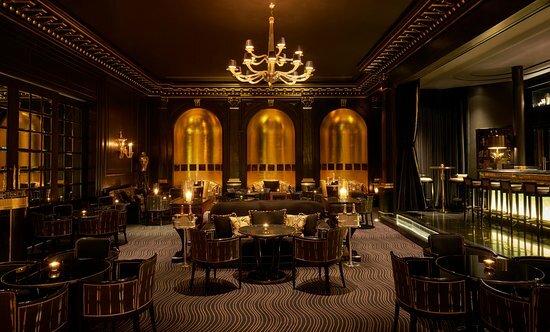 With a slick Manhattan feel and impeccable service, BAR 45 has got the mix of comfort and glamour just right. Sit at the bar and watch the mixologists at work or take a seat in a leather wing back chair with a Negroni from the trolley or, a favourite of ours the Smoke & Mirrors, a smokey blend of Glenfiddich 12 yrs single malt, Lapsang souchong and cherry liqueur. If it’s tequila you’re after then get a smokey, fiery kick tinged with sweetness in the form of the Devil in Disguise made from Don Julio Reposado, passion fruit and smoked Kashmiri chilli salt. To eat you’ll find a menu of ‘Rought CUTS’ by Wolfgang Puck. Dorset crab rolls are a must, as the mini wagyu beef sliders and the prawn spring rolls dipped in a spiced honey. Known for having the World’s Best Bartender Ryan Chetiyawardana a.k.a. Mr Lyan, (We aren’t joking, he won World’s Best Bartender at the Tales of the Cocktail Spirited Awards) the Dandelyan creates a host of concoctions using exotic flavours and unexpected combinations. This season’s cocktail menu, Vices of Botany, is intended to explore the full spectrum of our guilty pleasures, and is divided into four sections: Faith, Lust, Currency and Rock ‘n’ Roll. Drinks include Oyster Lunch, which features Mr Lyan’s Cream-distilled Gin, and an Oak Island Old Fashioned with Bacardi Carta Oro, and raw cacao you have to try. 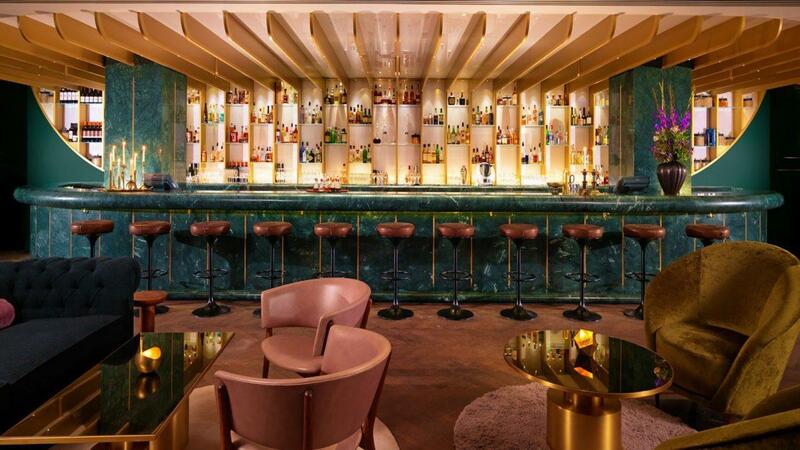 With interiors designed by Tom Dixon, it features an iconic green marble bar, and amazing views over the Thames. Great for evening drinks and the Pink Ambassador seats are crazy comfy to relax in. Spices, good. Cocktails, great. Spiced cocktails? Amazing! The Trading House harks back to the time of empire, when London was the trading hub of the world. 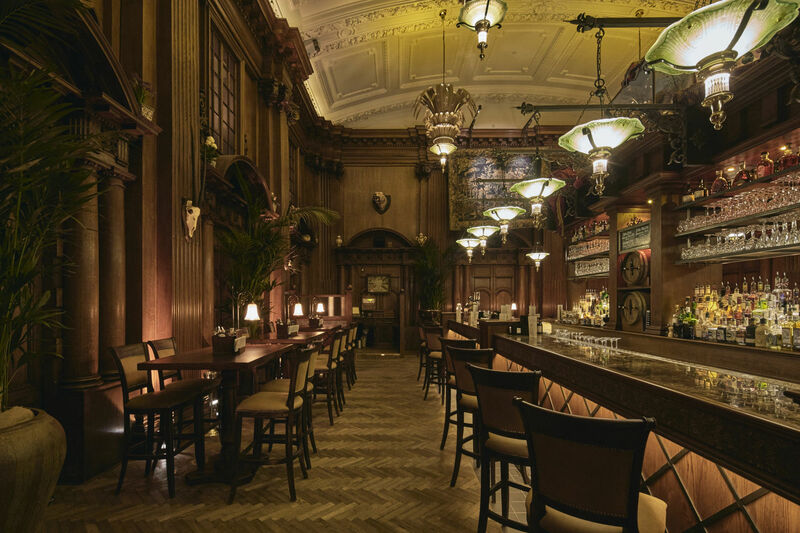 Housed in an enormous, chandeliered former bank with vaulted ceilings and walls decorated with zebra heads, it definitely looks the part: no doubt about it, your date will be impressed. The drinks are even better – the pinches of cardamom, cinnamon and coriander really ‘spice’ things up! Difficult though it may be to tire of London’s array of drinking joints, this is your first stop should the issue arise. 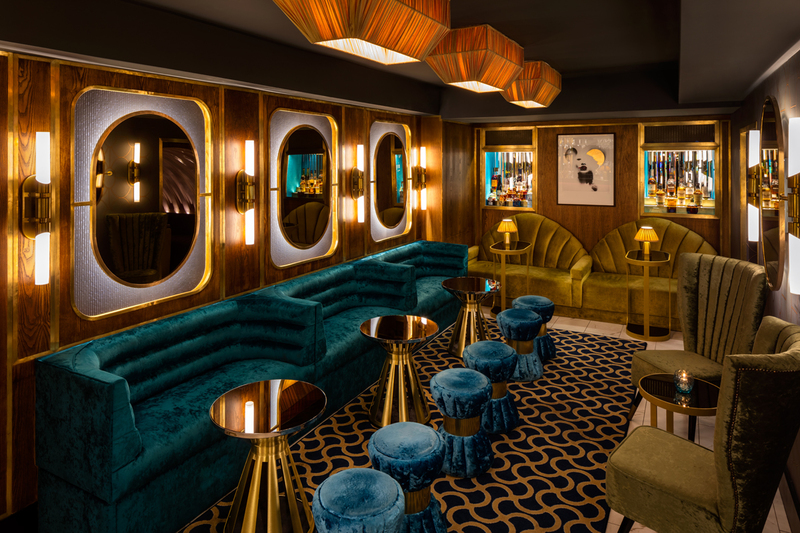 The 2015 winner of Best International Hotel Bar offers unique drinks designed to push the boundaries and excite guests, within a theatrical art-deco setting. 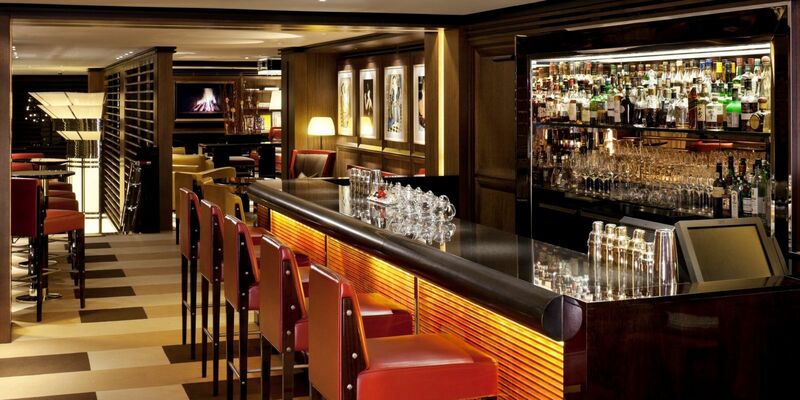 With live nightly performances from up and coming talent plus monthly Cabaret and Burlesque evenings, this renowned bar will lead you through its history with specially designed Character Cocktails for four of the most famous personalities to have stayed at the Savoy. Whether you like a tipple that sizzles and smokes or a cocktail that foams and froths, this one is worth a visit. Don’t mind if we do. This entry was posted in Featured, Food & Travel and tagged Dandelyan Bar, Disrepute, Lyaness, The Dorchester, The Savoy, The trading House. Bookmark the permalink.